Currently on the Yankee Candle Website at £6.99 Per Box so this deal on Groupon has huge savings from RRP. £17.99 + £1.99 Delivery - Works out at £3.33 Per Box Delivered to your door. Cheapest I have seen these online. Guaranteed to get Six Different fragrances from the entire classic range. 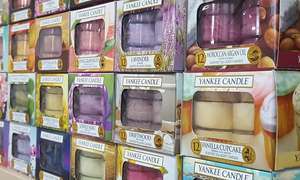 Please Note Fragrances are allocated totally randomly from the entire classic Yankee Range, we are unable to accept requests. If you purchase more than one set you may end up with duplicates. I once got a Cadbury's Creme Egg for 5p, Three months after Easter Sunday. Has anyone else seem them cheaper?